March is filled almost to the brim with Grandmaster quests and updates requested by you, leaving just a little room for Zaros! Just to get you in the mood for the epic quest later in the month, we're releasing a small update all about Mahjarrat memories. You’ll be helping Kharshai discover just what the other Mahjarrat have been up to during his bout of amnesia. With your new-found divination skills (level 60 will be required, as well as completion of Ritual of the Mahjarrat and Blood Runs Deep) you’ll be travelling across the game world, unearthing forgotten backstories from the Zarosian Empire of the Second Age…and beyond. Healthy hunks of Divination XP - bonus and regular - and some aid in your future romps over Freneskae await. Three words: ZAROS IS BACK! 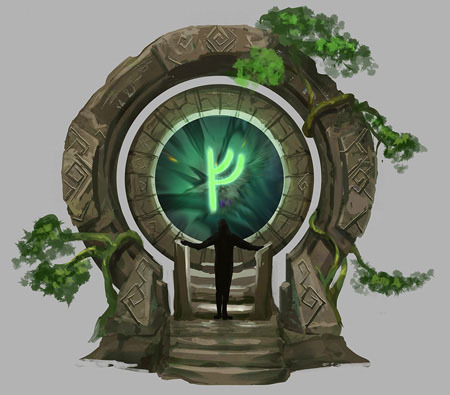 In our latest Grandmaster quest, Zarosian forces are gathering to unearth the secrets of the World Gate – a doorway into other realms first used by Guthix at the beginning of the First Age. 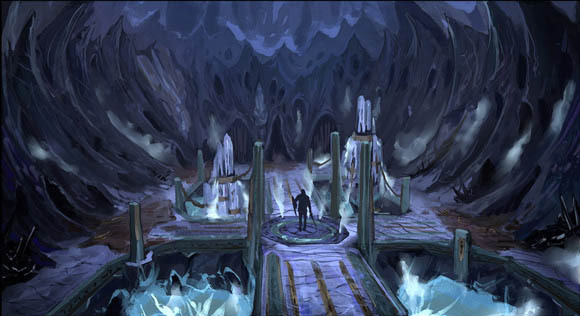 They believe that through it they can access the lands of Freneskae: homeworld of the Mahjarrat and the realm that Zaros retreated to following Zamorak's treachery. During the quest you’ll talk to Zaros, (or what’s left of him), and decide for yourself if he is worthy to return to Gielinor. The quest itself is absolutely crammed with story, unearthing some of RuneScape’s best-kept secrets. You’ll face beings of divine power, challenging combat, tricky choices and cunning puzzles. On top of that, the environments you’ll have to cross are truly breathtaking, and are a real challenge to fully explore, especially if you intend to find all their secrets. The quest is also fully voice-acted and contains some great new tunes, so make sure everything is turned up to the max for this one. Requirements for this cracking quest include 79 Magic, 76 Slayer, 75 Divination, 73 Agility, 67 Summoning, decent combat stats (over 80 is recommended) and Missing, Presumed Death. Be careful with the choices you make, for more than Zaros's life is a stake. Continuing with our Power to the Player vibe, we’ve been working on a bunch of smaller features that you’ve told us will make a big difference to your everyday game experience. Firstly, we’re making a bunch of changes to the way you can use the bank. You’ll be able to equip and unequip items straight to or from the bank, you’ll be able to drag and drop directly from the bank to your inventory, also being able to withdraw/ deposit to specific slots. You’ll also be able to easily perform those epic bank cleanup jobs, dragging items and stacks of items straight from the bank to the game world, destroying them. All in all, these changes will make bank interaction far faster, leaving you to get on with the game. We're also making some of your requested changes to the Circus. The biggest of these are as follows: Agility XP will be increased, circus equipment previously necessary for performances will be removed, and circus outfits will be changed to cosmetic overrides. A host of other, smaller changes will make the entire Circus D&D a smoother and more enjoyable experience. Other updates this month include changes to the World Map, adding mouse-over information to quest markers and introducing brand new icons. Additionally, the long-awaited off-hand bind slots are coming to the dungeoneering loadout interface, allowing you to store shields and off-hands without penalty. We are also adding the ability to customise the Ribbon (currently live version seen below), allowing you to have action windows just one click away. This'll help you to build an interface that looks and feels much more like the pre-RS3 game screen, if you wish. Make sure you check it out in a few weeks! You’ll be able to get your hands on lots of cool stuff in Solomon’s store this month too, with new wings, A drakefire warship, divination animations and some new outfits. Sorry for not managing to release One of a Kind in February. As we always say, we want our quests to be as good as they can be, so we decided to add a few more weeks to its development to reach our lofty expectations. We did manage to squeeze in a bunch of combat improvements, especially the new Revolution mode, allowing you to use basic abilities automatically to free up more time for chatting and relaxing. Check it out now, if you haven't already. we will never launch an update before it is ready. OOAK dropped from the march bill now? They probably didn't add it on because they already talked about it in Feb.
Did some quick number crunching and it seems as if battleaxe or warhammer are the best bets for melee dual wield dps in dg, though not a lot in it really talking lime 409 vs 404 on mh figures etc. They mention the quest in the bts video. Saying it will be out next week. According to a friend of mine the video of One of a Kind will be out tomorrow, it was already shot some weeks ago, before the delay happened. So yes, next week: QUEST TIME WITH MISTER LIZARDMAN. Seems like an awesome month to me. Especially I am looking forward to getting to meet Zaros and making sure that he can never return to Gielnor. Then I will make sure to send Zamorak there too - I am sure they have a lot to talk about. During the quest you’ll talk to Zaros, (or what’s left of him), and decide for yourself if he is worthy to return to Gielinor. Be careful with the choices you make, for more than Zaros's life is a stake. So Zaros' return will be unique to each player and not a global result? Interesting to see how this will affect future quest development. What if the dragonkin qyest line finale involved the dragonriders finally getting their "children" in the form of lizardmen who have the same innate ability to work with dragons and other beasts? It is effectively global. 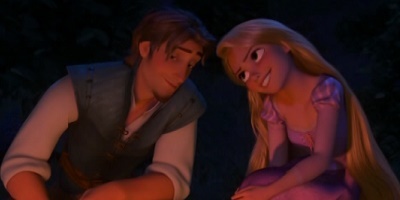 The number of people who won't bring him back is approximately zero. He's that cool. Oh yeah and like ... the World Gate is kinda just sitting in the middle of some random forest? No active volcano or epic buildup? Unless it's like some portal that's summoned at-will, maybe. ONLY TWO UPDATES WOW JAGEX WHAT ARE YOU EVEN DOING ARE YOU EVEN TRYING. Ranged is the only main style worth using anyway and throwing weapons don't have any advantages over sag short so this won't change anything about efficient dungeoneering. You underestimate my chaotic stupid tendencies.